Investigators reportedly find evidence US-Israeli teen arrested for hundreds of bomb threats against JCCs may have been paid to do so. A teenager with dual US-Israeli citizenship who allegedly made hundreds of false bomb threats over the years to Jewish community centers around the world may have been paid for foreign entities to do so, Channel 2 reported Thursday night. 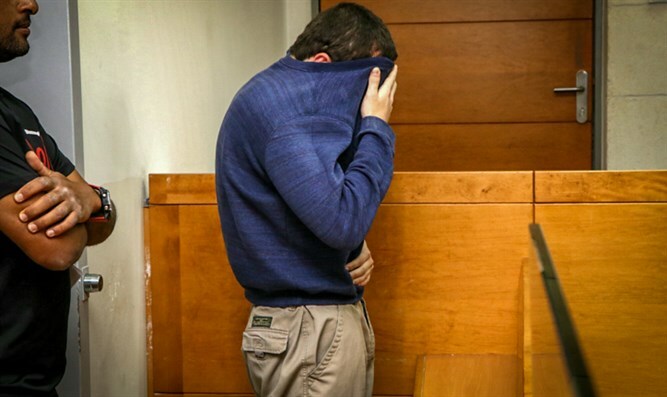 The suspect, a resident of the southern coastal city of Ashkelon, was arrested by Israeli authorities after a worldwide search for the person or persons responsible for a flood of bomb threats targeting Jewish institutions in the US, Europe, and Israel. Police say the man may be behind hundreds of such threats, going back two to three years. While the suspect is not cooperating with investigators – and has reportedly not spoken a word since his arrest – some digital evidence has been found that shed light on the case. The special Lahav 433 investigation unit discovered a Bitcoin account operated by the suspect. A series of large deposits from overseas sources suggests the suspect may have been working on behalf of foreign interests. Galit Bash, the suspect’s attorney, suggested his mental state may be compromised. The court also approved a request to ban publication of the suspect’s name, and ordered he be placed under continuous 24-hour suicide watch. Just over a year ago, the IDF declined to draft the suspect, ruling him unfit for duty.